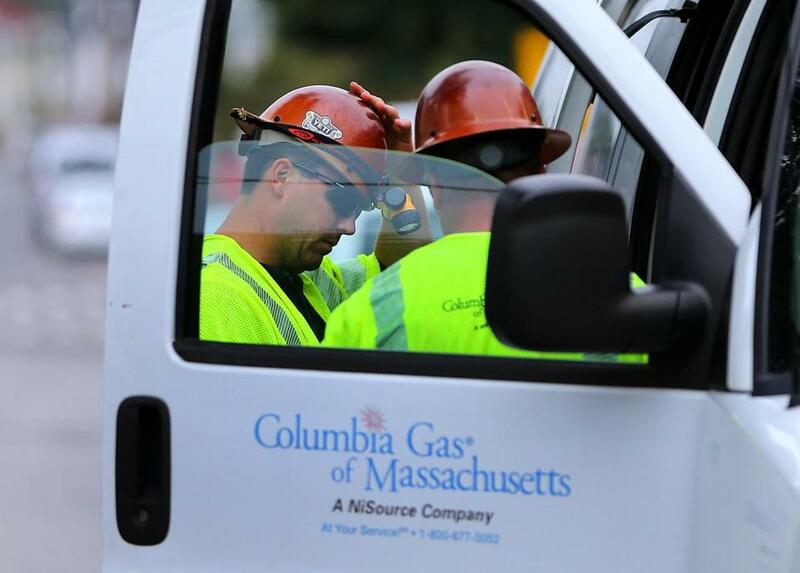 Columbia Gas workers were at work in South Lawrence Tuesday after last week’s chaos. After explosions and fires killed an 18-year-old and destroyed dozens of homes in the Merrimack Valley last week, Columbia Gas has started the laborious task of rebuilding miles of pipelines to prevent a similar disaster. But figuring out who’ll pay for all of that work — Columbia Gas’s shareholders or its customers in Massachusetts — remains an open question. Traditionally, utility companies in Massachusetts are allowed to recover the costs of improvements to their networks from customers, in the form of higher rates. Penalties for negligence, however, are borne by the company and its shareholders, as are liability costs from legal settlements. Noting that regulators already have the power to punish the company with a hefty fine, a former Department of Public Utilities commissioner, Susan Tierney, now an energy consultant with Boston-based Analysis Group, expects the agency to split the costs of upgrading the system in the Merrimack Valley between ratepayers and shareholders. On Sunday, Columbia said it will accelerate the replacement of 48 miles of older, leak-prone cast-iron and steel pipes in order to return service to some 8,600 homes and businesses in Andover, North Andover, and Lawrence. The company was planning to do that work over a much longer period to comply with federal and state directives for utilities to plug leaks and improve safety on their gas networks. The utility hasn’t yet publicly ruled out asking state regulators to have ratepayers foot all or part of the bill for that accelerated replacement work. But Massachusetts Attorney General Maura Healey said she will oppose any request from the gas utility to pass rebuilding costs on to ratepayers. State law allows the agency to preclude a company from recovering costs caused by its own negligence. Columbia serves about 321,000 gas customers in Massachusetts in three distinct territories: the Springfield area, the Lawrence area, and a region south of Boston that includes Brockton. Columbia’s long-term plan to replace pipes works out to some 870 miles over 20 years across all three service areas. The company is accelerating some of the work that had been scheduled in the Lawrence area. In 2015, the DPU said Columbia estimated its average cost at just over $1 million a mile. It’s unclear how much of the pipeline replacement work undertaken by the company has been approved by the DPU for cost recovery through higher rates. The company’s culpability for Thursday’s events will play a key role in whether it can recover its rebuilding costs. Preliminary findings by the National Transportation Safety Board’s staff indicate the fires and explosions were caused by overpressurized gas pipes. But a full investigation could take as long as one to two years. Ron Gerwatowski, a former National Grid executive and a former energy official in the Baker administration, said the DPU could deny any rate increase associated with speeding up pipe replacement that is above and beyond what the company would have spent on its regular schedule. For 2018, Columbia had sought a nearly $45 million rate increase. But after Healey’s office objected, the company negotiated a smaller increase earlier this month: $33 million, including nearly $20 million associated with prior pipeline upgrade projects. On Tuesday, analysts at the Wall Street credit-rating agency Moody’s said they expect the DPU to delay final approval of that settlement. Moody’s also said the catastrophe could affect NiSource’s credit rating — which would possibly raise its borrowing costs and may scare away some investors — in part because it could hurt the company’s financial position and lead to a more contentious relationship with regulators. NiSource’s shares plunged nearly 12 percent on Friday, the day after the explosions, but have recovered somewhat. On Tuesday, the stock closed at $25.92, down 7.7 percent from Thursday’s closing price. NiSource has already implied it doesn’t expect the Merrimack Valley costs to hurt its financial performance. In a statement on Sunday, the company said it expected to achieve its “previously announced long-term financial and credit commitments,” which is Wall Street-speak for saying that it doesn’t anticipate earnings taking a big hit. Charles Fishman, a Morningstar analyst who follows NiSource, generally agreed with that assessment. He predicted that the profits the company will make from accelerating its pipe replacement work will offset the costs associated with the disaster.